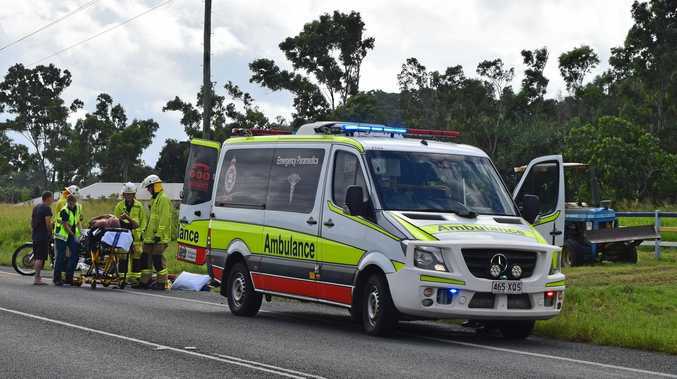 HOLDEN was never going to let the locally produced Commodore slip away quietly. The nameplate's loyalists have been expecting limited editions to help close the curtain in spectacular fashion, and Holden has not disappointed. A triumvirate of Commodores to honour the local legacy are coming: a Motorsport Edition (limited to 1200), Director (limited to 360) and Magnum (limited to 240), each individually numbered and with enticing performance upgrades including adaptive suspension and track-focused brake packages. 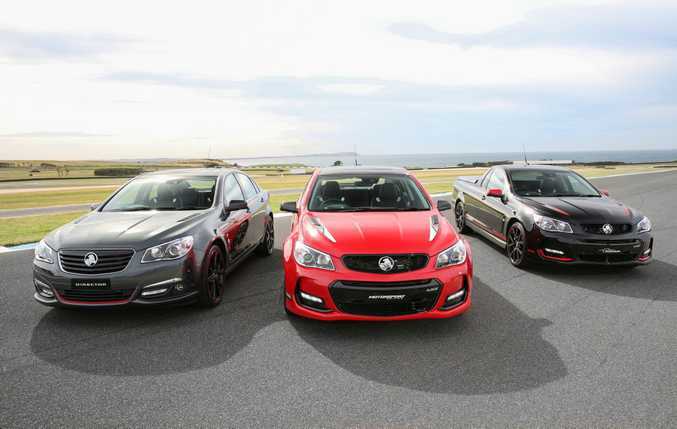 Motorsport Editions are based on the SS-V Redline and cost $61,790 ($63,990 with auto gearbox) before on-roads, auto-only Directors are Calais V-based and are $63,990 before charges, while the Magnums are SS-V Redline ute based and are $59,290 ($61,490 the auto) plus on-roads. 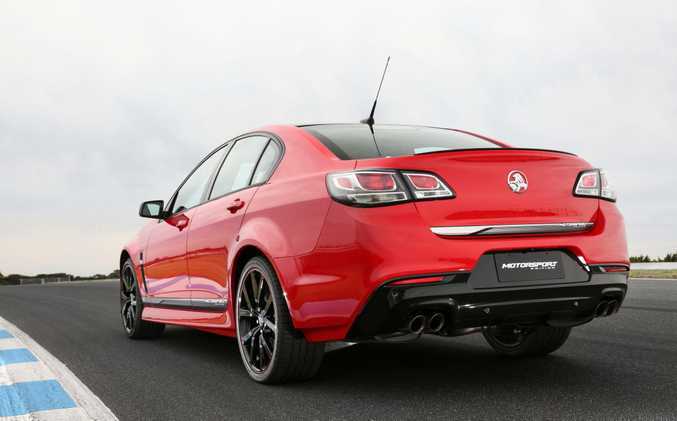 Holden is calling them "the most capable Commodores ever," with all featuring the naturally aspirated 6.2-litre LS3 V8 good for 304kW and 570Nm. We're told the Motorsport Edition and Director "take performance and luxury to a higher plane," while the Magnum ute "explores the unique ability of Australia's own sports car." Nice sentiment, that. 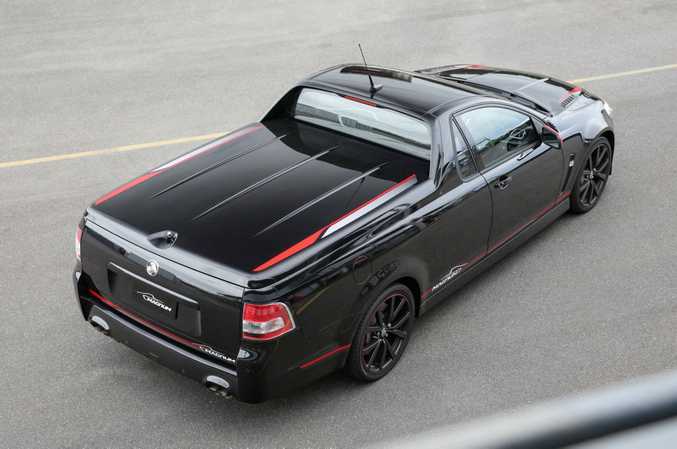 2017 Magnum Ute from the Limited Edition Holden Commodore range. 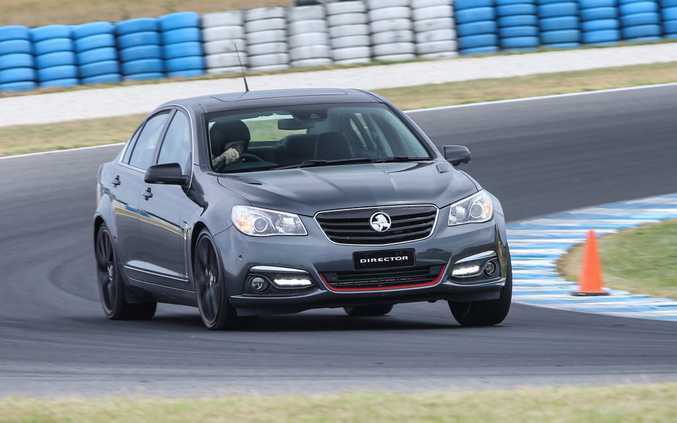 Included for Motorsport and Director models are the Holden-developed drive mode control system featuring Magnetic Ride Control adaptive suspension, offering the choice of Tour, Sport and Performance settings. The Magnum ute meanwhile scores track-focused FE3 suspension, as seen on the SS-V Redline sedan. In addition, the trio's engine and transmission cooling packages meet "GM level 3" track performance standards. This puts these special Commodores on a par with Chevrolet's Corvette and Camaro, plus the Cadillac CTS, in being among the most track capable General Motors vehicles. On the goodies front, the 1200 Motorsport Editions score 20-inch split forged alloys, cross-drilled brake rotors with charcoal Brembo calipers, heated performance front seats, embroidered instrument panel, unique lip spoiler (or optional wing), black roof and Motorsport Edition number, badging and decals. The 360 Directors score similar kit plus paddle shifters, bonnet vents, alloy pedals and unique Director numbers, badging and black highlights. As for Magnums - inspired by the original Holden Dealer Team Magnums from 1983 - these 240 all-Aussie icons are the quickest and best-equipped Holden utes ever made. They come with 20-inch rims, the same slotted brake rotors with Brembo calipers, heated performance front seats, hard tonneau cover, plus unique decals, badging and rear window graphic. Sad indeed that these will be among the final ever locally-produced Commodores, but such very special limited editions look worthy tributes ripe for the collectors. More details can be found at Holden's Limited Edition-specific web page. 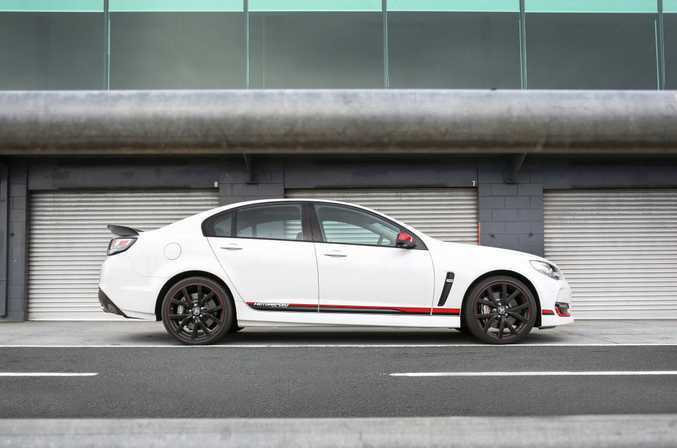 Celebrating Commodore's on-track success over the years, including over 460 Australian Touring Car Championship and V8 Supercars victories, Motorsport Edition comes with a range of styling enhancements. Red DRL surrounds, red mirror scalps* and unique red lined 20-inch forged alloy wheels complement unique Motorsport Edition decals supporting the special content under the skin. Available in very limited numbers, Director represents the ultimate blend of performance and luxury. 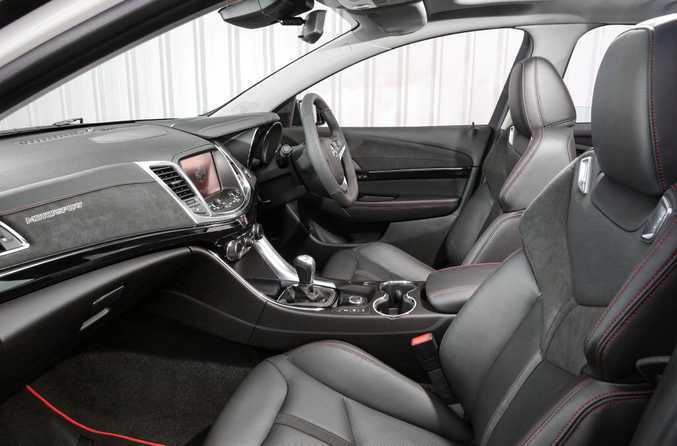 Based on the Calais V sedan, Director adds a black roof, paddle shifters and hood vents and stands as a tribute to the original Director and the man that created it, the late Peter Brock. 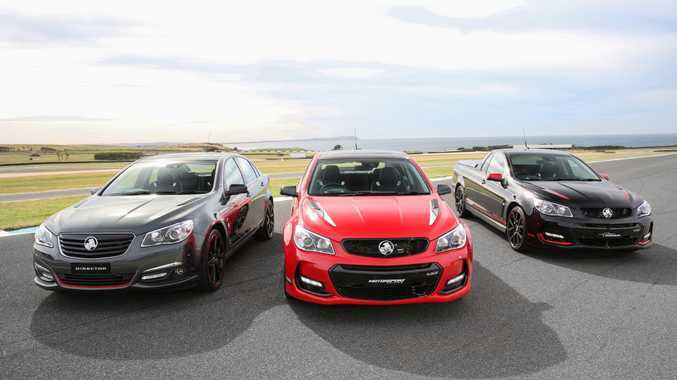 2017 Limited Edition Holden Commodores - (from left) Director, Motorsport Edition and Magnum. Inspired by the original Magnum developed by Holden Dealer Team in 1983, the new Magnum Limited Edition is the quickest and best equipped Holden ute ever created. Celebrating the final year of ute production in Australia, Magnum includes heated performance front seats, hard tonneau cover and unique decals for ultimate road presence.